Got a client with a need for some waterfront property? How about this gorgeous penthouse? Located at 45 Hendricks Isle in Fort Lauderdale, Florida, our newest Property Spotlight is represented by Shane Franko of Sellstate Partners Realty. Prestige, privacy, and lavishness! This spacious home has tons of room in its interior: four bedrooms, an office, five and half bathrooms. Outdoors, enjoy 1,200 square feet of outdoor space and a boat slip for up to 60′. 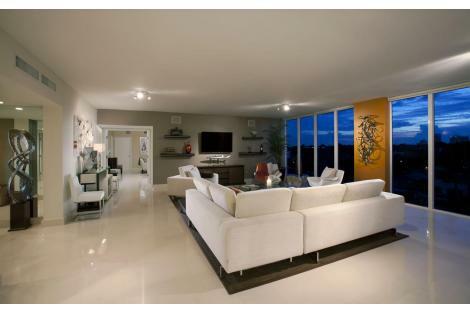 This is a one-of-a-kind luxury waterfront home right in the heart of Fort Lauderdale. For more information about Shane Franko and 45 Hendricks Isle, Fort Lauderdale, Florida, visit: 45hendricks-phf.com.